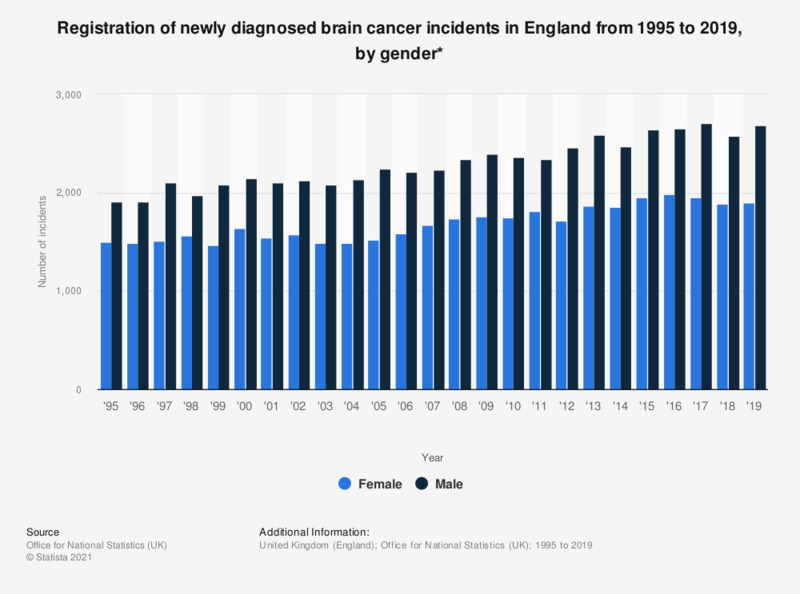 This statistic shows the registrations of newly diagnosed cases of brain cancer in England from 1995 to 2016, by gender. Cancer of the brain occurs when cells within the brain begin to grow abnormally. In 2016, 2,583 males and 1,933 females were registered as newly diagnosed with brain cancer, this was an increase from the previous year's number of registrations for newly diagnosed brain cancer incidents, among both males and females.